Azaleas are one of the most popular spring-flowering shrubs seen in landscapes. While these attractive plants are generally hardy and problem free, they are occasionally bothered by pests and diseases. Azalea Bark Scale – This azalea plant pest occurs most often in the eastern United States. Affected shrubs may be covered with sooty mold or appear as white, cottony masses within the forks of branches. These branches should be removed and destroyed. Treatment with horticultural oil can help. Azalea Caterpillars – These alzalea pests are reddish to brownish black with white and yellow stripes. Feeding in groups, azalea caterpillars can quickly defoliate shrubs. Control is often accomplished through handpicking, as they pose no threat to humans. Bt products are also effective. Azalea Lace Bugs – These are one of the most common threats to azalea shrubs. Affected plants may have yellow to whitish-looking foliage with black bugs located in numbers on the underside of leaves. Insecticidal soap is usually effective in controlling lace bugs in late spring or fall. Azalea Leafminers – This azalea plant pest generally “mines” between the upper and lower surfaces of leaves causing brown blisters or yellowing on the leaves. Affected leaves may also curl up and drop. Removal of affected plants may be necessary. Stunt Nematode – These azalea pests attack the feeder roots and cause azalea plants to become stunted and yellow. Plants with heavy infestations eventually die. While there is currently nothing available to control nematodes on azaleas, with proper fertility and watering practices, the plants are better able to tolerate attacks. 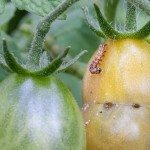 Whiteflies – These pests usually occur in groups on the undersides of leaves, which turn yellow or die. Whiteflies do not respond well to treatment; however, neem oil may reduce populations. Azalea Gall – This azalea disease commonly occurs in early spring on new leaf growth. The leaves become curled, fleshy, and pale green to white. Affected leaves eventually turn brown and should be removed and destroyed. Petal Blight – This fungus only affects flowers and appears as pale or whitish spots on colored petals or rust-colored spots on white petals. These spots quickly enlarge, becoming soft and watery. Apply a fungicide to buds as they begin to turn color. Powdery Mildew – This azalea disease appears as white powdery growth on the leaves and occurs most often during fall. 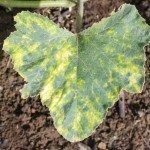 Diseased leaves may drop prematurely. May require fungicide spray. Rust – Rust is a fungal disease that causes reddish to orange spore masses on infected leaves, as well as galls or cankers on bark, which may occasionally kill the entire plant. 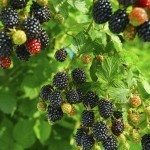 Prune and dispose of infected leaves and shoots immediately. Twig Blight – Twig blight may cause wilting and defoliation on one or more branches with a reddish-brown discoloration under the bark. Control with pruning and disposal of diseased branches, making cuts a few inches below discoloration. Sometimes there are environmental factors that are associated with azalea problems. For instance, frost damage can cause all parts of the shrub to wilt, turn brown or black, and die. New growth is especially susceptible in early spring. To prevent frost damage, do not grow tender species in cold climates, and cover shrubs with sheets or burlap anytime frost is expected. Nutrient deficiencies are another common factor with azaleas. Plants may exhibit discoloration with fewer or undersized foliage and flowers. Nitrogen and iron are the most commonly seen deficiencies in azaleas. Inappropriate watering can cause foliage to wilt, discolor, and drop. On average, established azaleas require an inch of rainfall or irrigation per week during their active growing season. Too much or too little light can also damage these plants. Leaf scorch, which is caused from too much sun, may appear as yellow or brown spots on foliage.